This time of year when you look out your window do you see nothing but gray? Arizona Pottery has a few suggestions for you where you can pot some plants that will take your boring to "fiery". It's as simple as planting the right stuff. 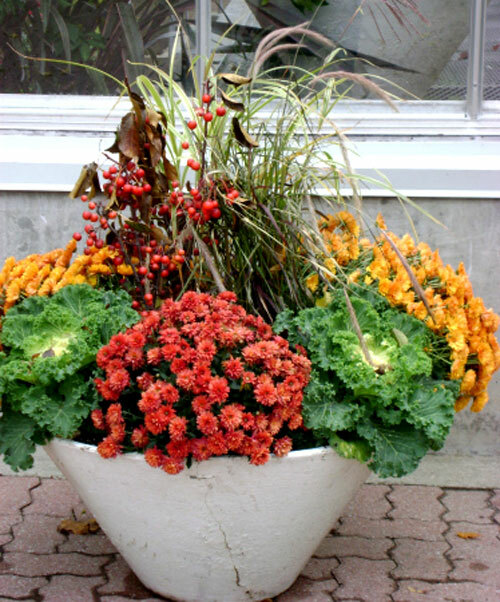 By potting some orange leaves, red smokin flowers and mixing in a few berries, you can create garden planters that will ignite your garden or patio area this autumn. If you are just a bit tired or want an easy way to set the area on fire then start with the easiest most radiant flowers. Mums in reds and oranges, marigolds which always look stunning this time of year, salvias and herbs smell good and add intense colors to any display. Take a simple garden pot like terracotta and set it on fire with an intense burst of color from any of these types of plants & flowers. Want something a bit more dramatic? Try lion's tail it will grow very tall and burst with orange blooms that are great for attracting hummingbirds, and butterflies. 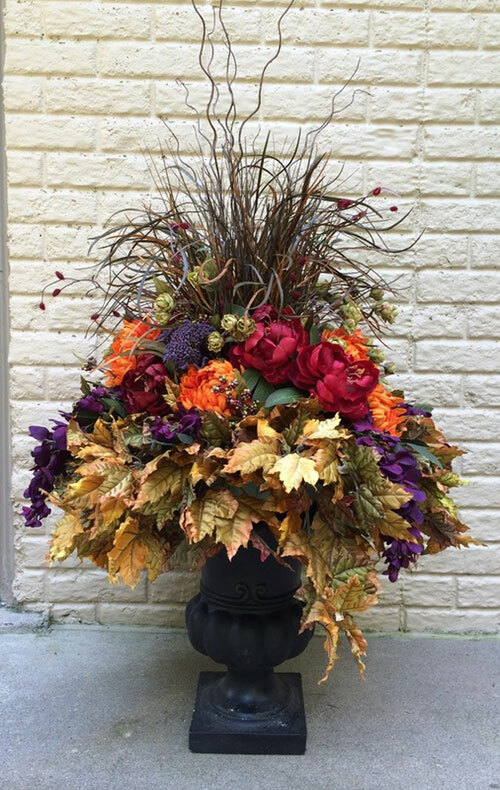 To really burst on the scene with color start with a colorful red, orange, copper or rust garden planter and then fill it with deep intense greens. Very ornamental in nature. Think berries would be fun? 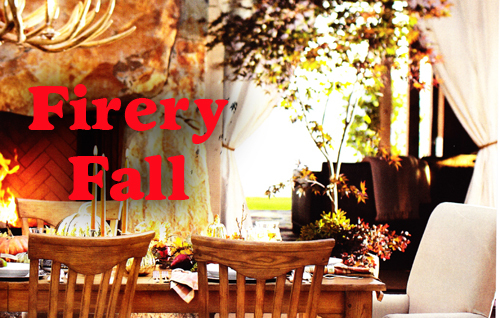 There are many types of trees and shrubs that offer fall and winter berries that are brightly lit. The crab apple is really easy and hard to kill. Make sure it's disease resistant and you will be richly rewarded with color from spring thru winter. How about trying to grow some vibrant leaves for decorating with. Of course Maple are the easy choice. 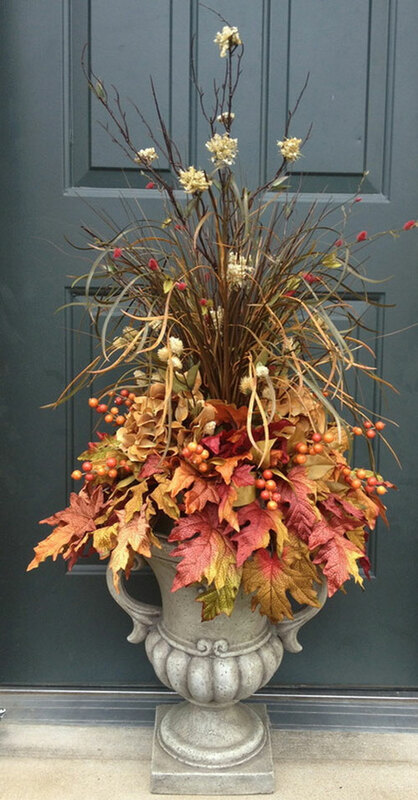 Their stunning red and orange leaves are lacy, poetic and radiant in garden pottery. Make sure you find the size that is easy to pot and you will be rewarded with blazing color. The next time you look out your garden window and see nothing but gray, that is the time to start planning on potting up a few of the suggestions we made and see if you can turn that into a blazing garden of color. Read more.....Placing stones in your garden area.